The global connected worker market size was valued at USD 1.7 billion in 2017 and is anticipated to grow at a CAGR of 20.5% during the forecast period. Connected workers perform daily work activities through the use wearable technology, sensors, analytics, asset tracking, and field testing mobile device in industrial and field environment. Connected worker ecosystem enhances worker safety in manufacturing plants, refineries, mining operations, power generation facilities and other industrial sites through the use of intelligent sensors, safety vests and specialized wearables. Connected workers use a smart device or wearable, which is connected to a centralized monitoring and control center. The components of connected worker ecosystem comprise device controller, gateway controller, central system, location manager, analytics engine, and human machine interaction. Connected worker ecosystem offers functionalities such as work assignments, work execution, performance analysis, and safety monitoring. Connected worker ecosystem improves work safety, provides intelligence insights, and offers enhanced decision support. The smart worker market is influenced by growing need to achieve higher efficiency, and productivity in manufacturing factories and other companies. Factors such as growing safety concerns, and stringent regulations regarding workforce safety impact the connected worker market growth. Digitalization, automation of tasks, increasing penetration of mobile devices, and growing adoption of BYOD has also fostered the this market growth. The increasing need to streamline operations to improve productivity and safety has increased the growth of the market. The growing adoption of cloud-based technologies, and Internet of Things accelerates the adoption of connected worker ecosystem. Other factors driving the connected worker market include technological advancements, increasing need for collaborative working environment, growing demand for mobility, and increasing requirement to improve workforce productivity and safety. The global Connected worker market is segmented on the basis of component, deployment model, end-user, and region. This market report segments the components into hardware, software, and services. The hardware segment accounted for the highest market share in 2018. The use of hardware such as protective textiles, head protection equipment, eyewear and hearing protection devices among other safety equipment drives the growth of this smart workers market segment. The software segment includes Workforce Task Management, Workforce Analytics and Mobile Learning applications which help the companies to analyze real-time productivity of employees. The deployment segment is categorized into On-Premise, and Cloud-Based. The cloud-based deployment segment is expected to grow at a higher rate during the forecast period owing to growing adoption of BYOD and cloud services. The implementation of IoT, and growing penetration of mobile devices further supports the growth of this market segment. The end-user segment is divided into manufacturing, construction, mining, oil and gas, and others. The manufacturing segment accounted for the highest smartworker market share in 2017. The introduction of stringent regulations regarding workforce safety, and growing need to provide a collaborative work environment to increase productivity drives the growth of this market segment. 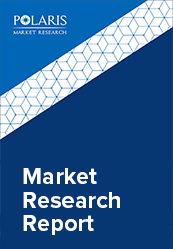 This report comprises a detailed geographic analysis of the global smart worker market share across North America, Europe, Asia-Pacific, Latin America, and MEA. North America is further segmented into U.S., Canada, and Mexico. Europe is divided into Germany, UK, Italy, France, and Rest of Europe. Asia-Pacific is bifurcated into China, India, Japan, and Rest of Asia-Pacific. North America is the major region contributing to the market growth due to increasing adoption of IoT, and growing need for collaborative working environment. Factors such as streamlining business operations, and improving overall productivity have accelerated the growth of the market in this region. The leading players in the connected workers market include the 3M Company, Honeywell International Inc., Fujitsu Ltd., Zebra Technologies, Accenture, Oracle Corporation, Wearable Technologies Limited, Avnet, Inc., Vandrico Solutions Inc., and Smart Track S.R.L among others. These leading players are introducing innovative products in the this market to cater to the growing demand for consumers. Global players are entering new markets in developing regions to expand their customer base, strengthen market presence, and increase their market share.